1) Gu. a fess or, betw. three escallops or. 2) Ar. a bend fusilly sa. 3) (Scotland). Gu. on a fess or, three escallops of the firat. Crest—A cat-a-mountain courant ppr. 4) (Rowley, co. Kent, and “Solomon Richards’ Close,” in Hougham parish, same co.; Hugh Richards held Maxton, alias “ Solomon Richards’ Close,” co. Kent, from the Archdeacon of Dover, temp. Henry VIII. ; John Richards, his son, bought Rowley, and d. 1609; William Richards, his son, was Captain and Vice-Admiral of Kent, temp. Charles I. John Richards, the last owner of Rowley, d. 1661, and left his lands to Hammond), of St. Albans Court, co. Kent). Sa. a chev. betw. three fleurs-de-lis ar. 5) (Yaverland, co. Hants; Germaine Richards, Vice-Admiral of the Isle of Wight, descended from co. Kent, purchased that place, 1553). Same Arms. Crest—A griffin’s head erased or. 7) (Stoke, co. Somerset; descended from Nicholas Richards, brother of Sir Edward Richards, Sheriff co. Hants 1606). Same Arms and Crest, without the quarterings. 8) (Solsborough, co. Wexford; descended from John Richards, of Southampton, whose grandson, Colonel Solomon Richards, got a grant under the Act of Settlement, 18 and 19 Charles II., of Solsborough and other lands in co. Wexford, a portion of which he sold, and with the proceeds raised the 17th Regt. of Foot, was appointed the first Colonel of that Regt., and went to the relief of Derry, 1689; he was buried at Westminster Abbey, 6 Oct. 1691. His grandson, John Richards, Esq., of Solsborough, High Sheriff co. Wexford 1728, had, with other issue, two sons: 1) Solomon, his successor, ancestor of Colonel Solomon Richards, of Solsborough, the present rspresentative; and 2) Goddard, ancestor of Richards, of Grange, and its branches. Arms marshalled with quarterings by Betham, Ulster). Same Arms as Richards, of Bowley. Crest—A griffin’s head erased ar. Motto— Honoré et amore. 9) (Grange, co. Wexford; the second branch of the house of Solsborough, represented by Edward Moore Richards, Esq., descended from Goddard Richards, Esq., of Grange, d. 1795, second son of John Richards, of Solsborough, Sheriff co. Wexford 1728). Same Arms, Crest, and Motto, a crescent for diff. 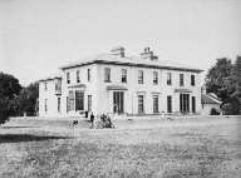 10) (Ardamine, co. Wexford, and Roebuck, co. Dublin; Lord of the Manor of Turvey in the latter co.; the third branch of the house of Solsborough, represented by Berndard John Goddard RichardS, Esq., descended from Solomon Richards, Esq., a very eminent surgeon in Dublin, second son of Goddard Richards, Esq., of Grange, who purchased Roebuck, in the manor of Turvey, and Ardamine, and d. 1819). Same Arms, Crest, and Motto, a mullet for diff. 11) (granted by Betham, Ulster, 1829, to Bartholomew Vigors Richards, Esq., second son of Solomon Richards, Esq., of Solsborough, co. Wexford, and to his descendants, d. unm. 1830). Erm. a cross gu. charged in the centre with an ancient crown betw. a tower triple-towered on the dexter and a lion ramp. on the sinister arms of the cross, and betw. a lion pass. on the superior, and a harp imperially ensigned on the inferior arms of the cross, all or. Crest—A tower triple-towered and the sun in splendour rising behind the same from clouds all ppr., motto over, Pro clara de clara. Motto—Deo adjuvantc non timendum. 12) (Caerynwch, co. Merioneth; borne by Richard Edward Lloyd Richards, Esq., of Caerynwch, son of the late Richard Meredyth Richards, Esq., of Caerynwch, who was grandson of Sir Richard Richards, Lord chief Baron of the Court of Exchequer in England). Quarterly, 1st, ar. a cross patonce engr. sa. betw. four Cornish choughs ppr. ; 2nd, erm. on a saltire gu. an escallop ar. : 3rd, or, a lion ramp. gu. ; 4th, vert three eagles displ. in fess ar. ; 5th, sa. guttee d’eau, a canton erm. ; and 6th, in right of his mother, the heiress of Edwards, of Cerrig Llwydion, per chev. gu. and az. a chev. erm. cotised or, betw. three Saracens’ heads couped ppr. Creat—A naked dexter arm, the hand holding a scymitar all ppr. Motto—Ffyddlawn ir Gwirionedd. 13) (Rew, co. Devon). (Isleworth, co. Middlesex; John Richards, of that place, Visit. Middlesex, 1663, son of Christopher Richards, of Rew, co. Devon). Ar. a fess fusily sa. betw. two barrulets gu. Crest—A paschal lamb pass. ar. staff and banner ppr. 14) (Hammersmith, co. Middlesex; granted 1703). Erm. a fess sa. cotised gu. charged with five lozenges or. Crest—On a chapeau gu. (another, sa.) turned up erm. a lamb pass. ar. resting the dexter paw on a lozenge or. 15) (Fringe, co. Norfolk; granted 1613). Or, two bars gu. on each as many fleurs-de-lis ar. Crest—A fleur-de-lis ar. per pale erm. and ar. 16) (East Bagborough, co. Somerset; Francis Richards, of that place, Visit. Somerset, 1623, son of John Richards, of Comb Florie, and grandson of William Richards, of Lovilinel, in same co.). Ar. a fess fusily gu. betw. two barrulets sa. 17) (co. York; granted 1595). Ar. on a bend engr. vert three garbs or. Crest—Out of a mural coronet gu. a. talbot’s head ar. collared vert, ringed or. 18) (co. Kent). Ar. three annulets az. 19) (Heath, co. Hants). Az. two arrows in saltire ar. heads downwards, betw. four fleurs-de-lis or. Crest—An eagle, wings expanded ppr. 20) (Normanton-upon-Soar, co. Nottingham). Ar. a chev. invected betw. two escallops in chief and a cross pattée in base gu. 21) (Wormwell, Longpredy, and West Knighton). Erm. on a fess cotised sa. four lozenges ar. Crest—On a chapeau gu. turned up erm. a lamb pass, resting the dexter paw on a lozenge or. 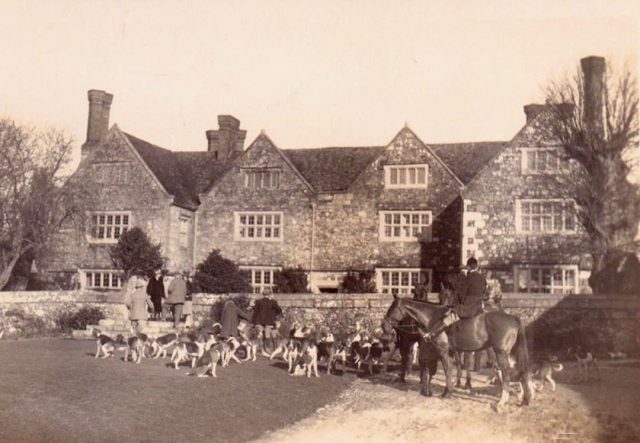 22) (Brambletye House, co. Suffolk, bart., dormant since 1735; Sir James Richards, Knt., of Brambletye, son of John Richards, who came to England from Toulouse, in France, with the Queen-mother of Charles II., was created a bart. 1684; the fourth bart., a general officer in the Spanish army, has not been heard of, or his descendants, if any, since 1735). Ar. a chev. az. in base a lion ramp. of the last. Crest—A lion ramp. az. Motto—Honore et amore. 23) (Reading). (Crofts House, co. Pembroke). Ar. a chev. az. in base a lion ramp. of the last. Crest—A lion ramp. az. Motto—Honore et amore. 24) (Major-Gen. Sir William Richards, K.C.B., 1838). Ar. a chev. az. in chief an Eastern crown gu. betw. two chaplets of laurel vert, in base a lion ramp. of the third. Crest—An anchor erect with cable sa. in front of two branches of laurel in saltire vert. 25) Ar. a chev. sa. in the dexter chief quarter a cinquefoil gu. Crest—An arm embowed in armour ppr. garnished or, grasping in the gauntlet a ragged staff sa. the end flammant. 26) Ar. a fess embattled gu. in base a stump of a tree ppr. Crest—A fox’s head couped gu. 27) Gu. a bend vair betw. two garbs or. 28) (George Richards, Comptroller to Sir Oliver St. John, Viscount Grandison, when Lord Deputy of Ireland; Fun. Ent. Ulster’s Office, 1626). Ar. three garbs gu. banded or, a border of the second semée of mullets of the third. Crest (Reg. Ulster Office)—An arm erect vested vert, cuffed ar. holding in the hand a rose branch all ppr. 29) (Rathaspick and Park, co. Wexford; granted by Fortescue, Ulster, 1802, to John Louis Gideon Ernest Prebenton Wilmsdorff, Captain of the 1st Regt. of Dutch troops in the service of George III., a naturalised subject of the United Kingdom, upon his assuming, by royal licence, the surname of Richards, in consequence of his marriage with Martha, eldest dau. and co-heiress of Thomas Richards, Esq., of Rathaspick, who was grandson of Thomas Richards. 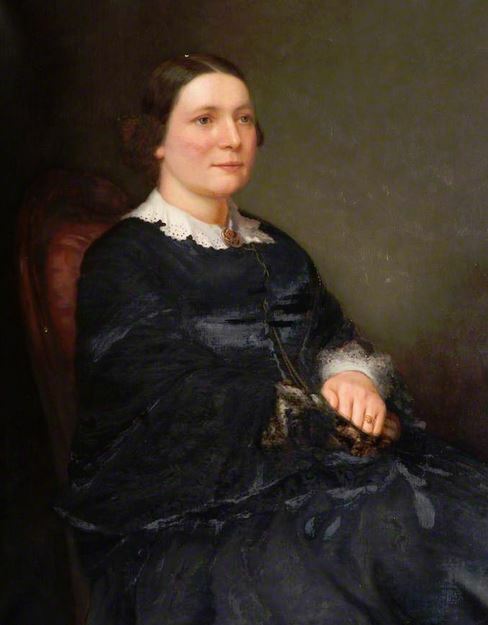 Esq., of Park, by Jane Codd, his wife, dau. and co-heiress of Nicholas Codd, Esq., of Rathaspick and Castletown, co. Wexford, and great-grandson of Thomas Richards, Esq., of Park. The heir male and head of Richards, of Rathaspick and Park now is John Richards, Esq., of Barnagh, J.P. co. Mayo, grandson of John Richards, Esq., of Dublin, Barrister-at-law, who was brother of the above Thomas Richards, Esq., of Rathaspick: another brother, Richard Richards, was grandfather of the late Right Hon. John Richards, Baron of the Court of Exchequer in Ireland). Sa. a chev. betw. three fleurs-de-lis ar. Crest—A griffin’s head erased ar. Motto—In Deo confido. This popular Celtic Welsh or Cornish last name is a patronymic or baptismal surname deriving from the personal (first) name Richard. It originally was an English surname that came there from mainland Europe during and after the Norman Conquest of 1066 AD. In England, the family first established itself in Yorkshire where they held seat (land and titles) at Hatfield as Lords of the Manor of Ricard (or Rycard. There was also a small branch of the family tree that loved on the Isle of Wight. It was thought to be an ancient Germanic name that predates the 600s AD. It derives from the words ric and hard, literally meaning or translating to “powerful ruler”, a name apt to spread across medieval Europe, Christendom, and the Holy Roman Empire in the Middle Ages, almost certainly popularized by King Richard I of England, the most legendary Crusader of his day (known as Couer de Leon). Some spelling variants or names with similar etymologies include Richard (English), Ritchard, Ricard (French), Rickard, Rickards, Richardson, Richardt, and Rickaert (Flemish). The last name Richards ranks 215th in popularity in the United Status as of the 2000 Census. The name ranks particularly high in the following three states: Maine, Utah, and West Virginia. The surname Richards frequency/commonness ranks as follows in the British Isles: England (72nd), Scotland (339th), Wales (20th), Ireland (1,169th) and Northern Ireland (795th). In England, it ranks highest in county Cornwall. In Scotland, the surname ranks highest in Peeblesshire. In Wales, it ranks highest in counties Glamorganshire and Carmarthenshire. In Ireland, it ranks highest in county Wexford. In Northern Ireland, it ranks highest in county Down. Some of the earliest documented bearers were Nicol Richard (Basle, Switzerand in 1260 AD), Richardus Richardi (Pfullingen, Germany, in 1273 AD), Thomas Richard (Oxfordshire, England in 1276 AD), and Thomas Richardes (Worcester, England in 1327 AD). a) Thome filius Ricardi had a charter of the barony of Symundestone in the sheriffdom of Lanark from Robert I, circa 1315-1321 AD. For DNA results of the Richards family, you can visit this page. The ancestors of this branch of the Richards family had established itself in counties Kent and South Hampton around the end of the 1400s AD. 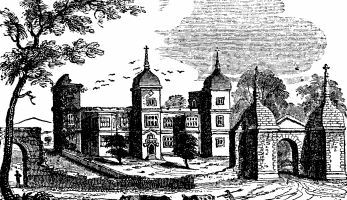 John Richards lived at Subinton, county Southampton during the reign of King James I and married Constance, daughter of Ralph Fawkner and Margaret Disney, and had the following issue with her: John, Thomas, Solomon, and Henry. His son Solomon Richards was an Esquire who married Anne, daughter of John Curle of Brixton in the Isle of Wight, and had the following children with her: Solomon, John, Eleanor, Anne, and Elizabeth. He was succeeded by his eldest son, also named Solomon. This Solomon was an Esquire of Solsborough, county Wexford, as well as a Colonel of the 17th Regiment. He married Rhoda, daughter of Samuel Wilson of London, and had a daughter with her named Rhoda who married William Mercer in 1674. He secondly married Abigail, daughter of Henry Goddard of Deptford and Chatham, and had issue with her, including: 1) Solomon, 2) John, 3) Goddard, and 4) Michael (Captain in his father’s regiment, Brigadier-General in the army). He was succeeded by Goddard Richards, an Esquire of Solsborough, who was born in 1661. In 1684, he married Dorothea, daughter of William Jacob of Sigginstown, and had four sons with her: John, Jacob, Goddard, and Jonathan. He was succeeded by his son John. This John Richards was an Esquire of Solsborough and High Sheriff in 1728. He married Katherine, daughter of Reverend William Burtenwood, Rector of Edermine, and had the following issue with her: Solomon, Goddard (ancestor of the Richards of Grange), Edward (of Enniscorthy, married Judith Bowers, had daughter named Katherine who married Arthur Thomas), John (of Askinvillar), and Elizabeth (married William Stephens of Ferns). He died in 1749 and was succeeded by his eldest son Solomon. This Solomon Richards was an Esquire of Solsborough and High Sheriff of Wexford in 1753. 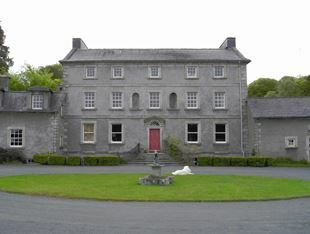 He married Francis, daughter of Urban Vigors of Ballyconnick, and had children with him as follows: Solomon (his heir), William (married Louisa, daughter of Colonel George Rawson of Belmont, had sons named William Vigors and George Rawson), Edward, Frances (married Matthew De Rinzy of Clobeman, county Wexford), and Katherine (in 1781, married Nicholas Aylward Vigors of Old Leighlin). He was succeeded by his son Solomon. This Solomon was born in 1765 and was High Sheriff. In 1784, he married Martha, daughter of Francis Gorman of Ballynahessan, county Meath, Ireland, and had the following children with her: 1) Solomon (his heir), 2) Bartholomew Vigors, 3) Captain Edward of the Royal Navy (married Mary Anne, daughter of Rev. Walter Blake Kirwan, and had issue named Captain Edwin, Captain Frederick William, Solomon, Urban Vigors, Julia, Maude, Sophia, Louisa, Anne Vigors, and Frances), 4) William Gorman, 5) Francis, 6) Sophia (married Mathew O’Brien of Newcastle), 7) Francis (married Reverend John Howard Gorges), 8) Martha (married Reverend Henry Barnes), and 9) Katherine (married Reverend Richard Fayle). He later married Martha, daughter of Colonel George Rawson of Belmont, and had two more issue: George Rawson and Maria. He died in 1822 and was succeeded by his oldest son, Solomon. This Solomon Richards was an Esquire of Solsborough was born in 1787 and was a High Sheriff in 1818. He later entered holy orders and became Rector of Clone, county Wexford, Ireland. 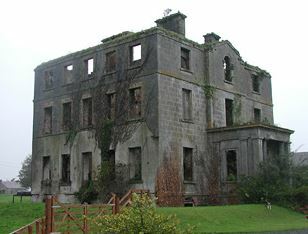 In 1814, he married Elizabeth, daughter of Colonel Thomas Bermingham Daly Henry Sewell of Athenry and Harriett Beresford, and had the following children with you: Solomon, William Beresford (County Inspector Royal Irish Constabulary), Lieutenant John (Esquire of New Ross, had issue named Alfred Beresford, Roland, and William James Napper), Harriet (married Richard Howard Gorges), Bessie (married William Donowvan of Tomnalossett), Isabella, and Louisa Martha (married Richard Archibald Gorges, Captain of the Royal Marine Artillery). He died in 1866 and was succeeded by his eldest son Solomon. Solomon Richards was an Esquire of Solsborough, county Wexford, as well as a Justice of the Peace and a Colonel in the Army who was born in 1817. He is the senior co-heir of Lady Elizabeth Bermingham, eldest daughter and senior co-heir of Thomas, 22nd Lord Athenry and Earl of Louth. The Richards Coat of Arms is blazoned in the medieval European art of heraldry as follows: Sable, a chevron between three fleurs-de-lis argent. Crest: A griffin’s head erased argent. Motto: Honore et amore. They were seated at Solsborough, Enniscorthy, county Wexford. The lineage or pedigree of this branch of the Richards family tree begins with Goddard Richards, an Esquire of Grange who was born in 1715, the son of John Richards of Solsborough, and was bequeathed Grange and other estates in county Wexford by John. In 1756, he married Anne, daughter of Nicholas Hewetson, and had the following issue with her: 1) John (his successor), 2) Solomon (ancestor of the Richards of Ardamine), 3) Goddard (of Bath, born 1764, married Anne Houghton, had issue named Goddard Henry, Reverend William, Mary Anne, Elizabeth, Ellen, Maria, Charlotte, Virginia and Julia), 4) William, 5) Nicholas, 6) Edward (served in the 55th Regiment), 7) Robert Heweston (married Matilda Garnett of Green Hills, had issue named William Henry, Major-General Robert, Annie Matilda, and Mary Anne), 8) Henry, 9) Anne (married Richard Donovan of Ballymore), 10) Sarah (married Richard William Tighe of Wicklow), 11) Katherine Jane (married Revered Robert Alexander of New Ross), 12) Elizabeth (married Richard Colles), 13), Elizabeth (married Richard Colles), 14) Wilhelmina (married Reverend Walter Blake Kirwan), and 15) Letitia. He died in 1795 and was succeeded by his eldest son, John. This son was Reverend John Richards of the Grange, who was born in 1757. In 1796, he married Elizabeth, daughter of Sir Joshua Paul, the 1st Baronet of Paulville, and had the following children with her: Goddard Hewetson (his successor), Sarah Elizabeth, Anne Dorothea, Elizabeth (married Cope Garnett of Rhos-y-gar), Katherine Wilhelmina, Dorothea Elizabeth, and Ellen Susan Gertrude (married John Herbert Opren of Stephen’s Green). He died in 1827 and was succeeded by his only son Goddard. Goddard Hewetson Richards was an Esquire of Grange and Pembroke Street, Dublin, as well as a Barrister-at-Law, who was born in 1798. In 1823, he married Dorothea, daughter of Edward Moore, Esquire of Mooresfort, county Tipperary, with whom he had the following children: John Francis (Justice of the Peace) and Edward Moore. Edward Richards Moore was an Esquire of Grange born in county Wexford in 1826. He succeeded his brother in 1860. He married Sarah Elizabeth, daughter of William Tisdall of Virginia, US, with whom he had three children: John Evelyn, Adela Elizabeth, and Dora. The Richards Coat of Arms is blazoned in heraldry as follows: Same as Richards of Solsborough, with a crescent for difference. They were seated at Grange, near Killanne, county Wexford, Ireland. The Richards genealogy of this branch begins with Solomon Richards, an Esquire of York Street, Dublin, the son of Goddard Richards of the Grange, and grandson of John Richards Solsborough. He was a well-known surgeon and was a member of the Royal Irish Academy and Royal Dublin Society. 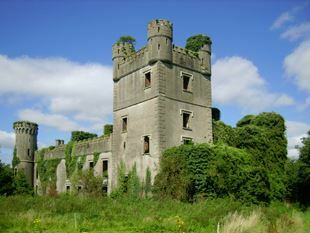 He procured the estate of Roebuck in Dublin from Lord Trimleston, Ardamine in Wexford from Baronet Sir Thomas Roberts, and other lands from Abel Ram, Esq. He married Elizabeth, daughter of Reverend Edward Groome, with whom he had the following children: 1) John Goddard (his successor), 2) Reverend Edward (Rector of Clonallon, married Emily Saurin, had issue named Edward, James Saurin, Reverend Lewis, Henry Goddard, William Saurin, Charles Frederick, and Anne Catherine), 3) Solomon (of Ounavarra, Justice of the Peace, married Katherine Wynne and later Florence Moore), 4) Elizabeth, and Mary Anne (married Reverend Henry Wynne, Rector of Ardcolm). He died in 1819 and was succeeded by his eldest son, John. John Goddard Richards was an Esquire of Ardamine and Roebuck, as well as a Barrister-at-Law, Justice of the Peace, Deputy Lieutenant, and High Sheriff who was born in 1794. In 1821, he married Anne Catherine, daughter of Robert Ward, with whom he had the following issue: 1) Solomon Augustus (his heir), 2) Reverend Robert Edward (Principal of Gloucester and Bristol Training College), 3) William Hamilton (Lieutenant Colonel 55th Regiment, married Margaret Isabella Lawrence, had children named Hamiltom MacDonald, Charles de Clare, and John Goddard), 4) Louisa Elizabeth (married George Maconchy of Rathmore), 5) Mary Anne (married Samuel Johnson of Janeville), and 6) Emily Sophia (married Reverend Philip Walter Doyne, Vicar of Monart). He died in 1846 and was succeeded by his eldest son, Solomon. His Solomon August was an Esquire of Ardamine and Roebuck, Justice of the Peace, High Sheriff, and Captain of the Wexford Militia who was born in 1828. 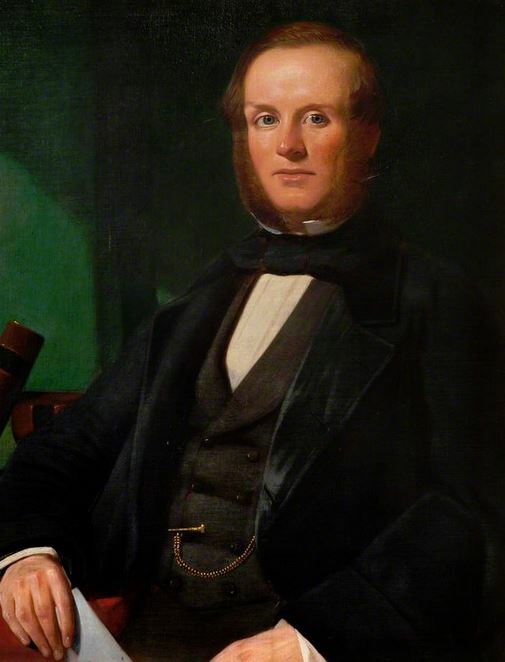 In 1856, he married Sophia Mordaunt, daughter of Reverend Bernard John Ward, and had three issue with her: Bernard John Goddard, Arthur William Mordaunt, and Francis Augustus. Bernard John Goddard Richards was an Esquire of Ardamine, county Wexford, and Roebuck, county Dublin, as well as a Lieutenant Wexford Militia and Justice of the Peace, who was born in 1857. The family crest was the same as Richards of Solsborough, with a mullet for difference. They were seated at Ardamine, Gorey, county Wexford, and Roebuck House, Donnybrook, county Dublin, in Ireland. The ancestors of this branch of the Richards family tree settled in county Wexford, Ireland many years before the ursupration of Oliver Cromwell. Thomas Richards, of Park, the ancient family seat, with his wife Edith, had the following children: John (of Park, married Sarah Duzell in 1699), Thomas, Mary (William Jones), Elizabeth (married John Morton), and Maria (married John Jacob of Sigginstown). His second son, Thomas, of Rathaspick, in 1680, married Jane, daughter and co-heir of Loftus Codd of Castletown and Rathspick, and had the following issue with her: Thomas (his successor), Nicholas (had children named Loftus, Thomas, Mary, and Anne), Edward (had Jane and Mary), Jane (married Philip Hore of Pole Hore), Edith (married Henry Hatton of Clonard), Margaret (married Patrick Hogan of Horetown), Mary (married Brigadier General Edward Jones), and another daughter (married Anthony O’Neill). He died in 1716 and was succeeded by his eldest son Thomas. Thomas Richards was an Esquire of Rathaspick who was born in 1688 and was successor to Park and the other estates per the will of his uncle in 1713. He married Miss Orme of London, and had the following issue with her: 1) Thomas (of Rathaspick, married Martha Redmond of Kilgowan, had daughters named Martha and Elizabeth, the later having married Count Von Simburg Sinum of the Kingdom of Hanover), 2) John (discussed below), 3) George (married Elizabeth, daughter of Sheppard French, ancestor of the Richards of Glynn and Ballynahorna), 4) Loftus, 5) James (ancestor of Richards of Ballynastud), and 6) Richard (married Susan Nunn of St Margaret’s, had a son named John who married Elizabeth Fitz-Gerald). His son John, was of Great Britain Street in Dublin, Ireland. In 1767, he married Mary, daughter George Lendrum of Mowfield, with whom he had the following issue: 1) John (in 1800 he married Elizabeth Saunders of Saunders Park, had issue with her named John William, Mary Anne, Melosina, and Helena), 2) Reverend George (ordained in 1805, B.A. at Trinity College, married Margaret Sophia Johnstone of Fir House, and had issue: John, Reverend James, Lieutenant Francis, Lucretia, Margaret Sophia Ellinor, Elizabeth Marianne, and Georgina), 3) Hannah (married Mr. Hamilton of Seaview, county Donegal, Ireland), and 4) Frances Anne (married Reverend Thomas Skelton). John Richards was an Esquire of Mac Mine, county Wexford, as well as a Justice of the Peace who was born in 1808. In 1838, he married Harriet Martha, daughter of Major Gledstones, and had four issue with her: George Gledstanes (Captain in the Wexford Militia, married Marian Bryan, had issue named John Loftus, Harriet Marian and Charlotte Lyon), Albert Garnier (Lieutenant 22nd Foot, married Isabella Mary Barkus, had a daughter named Lilian Garnier),Hampden Augustus (Captain of the 44th Regiment, married Dora, daughter of John McGowan), and Anna Margaret Sophia (married Lieutenant James Jocelyn Glascott). This branch of the Richards family tree was seated at Mac Mine, Enniscorthy, county Wexford, Ireland. The genealogy or ancestry of this family begins with Henry Richards, Esquire of Croft House, county Pembroke, Wales, who was a Justice of the Peace, Deputy Lieutenant, and Lieutenant-Colonel who was born in 1812, the son of Jacob Richards of Croft House, Tenby). In 1839, he married Margaret, daughter of the late William Hughes of Dublin and Margaret Thomas, and had one son with named William Henry. 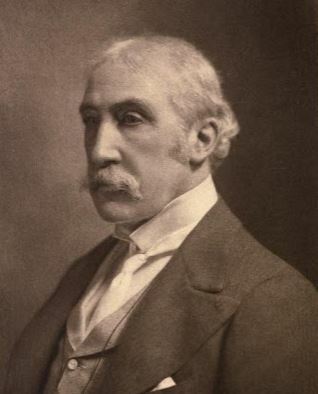 William Henry Richards was an Esquire of Croft House, county Pembroke, was a Justice of the Peace, for county Pembroke and High Sheriff in 1878, who was born in 1844. In 1872, he married Florence Antonia Emlin, daughter of Lieutenant Colonel Anthony Bowen Owen Stokes of St. Botolph’s and Emlin Crymes. The Richards family crest is blazoned as follows: Argent, a chevron azure, in base a lion rampant of the last. Crest: A lion rampant azure. Motto: Honore et amore. They were seated at Croft House, Tenby, county Pembroke. 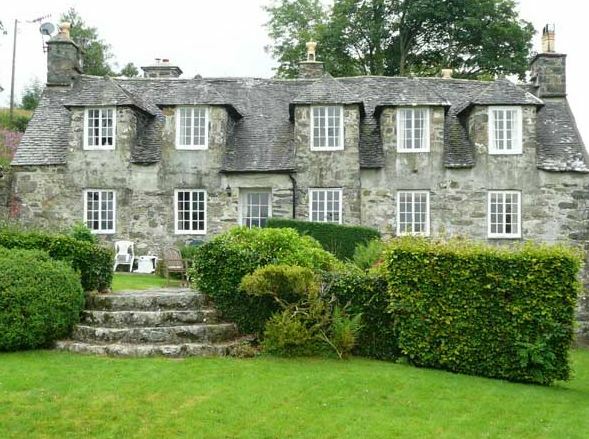 The lineage or pedigree of this family traces back to John Humphreys, Esquire, who lived in 1700 and married Grace, daughter and co-heiress of Robert Vaughan of Caerynwch. He had a son also named John, who in 1717, married Margaret Vaughan, heiress of Castellmoch, county Montgomery, Wales. This John had a son named Robert Vaughn Humphreys, who was an Esquire of Caerynwch and High Sheriff for the Welsh county of Merioenth. He married Jane, daughter of Humphrey Meredyth, of Pengwern, and left an only daughter named Catherine. 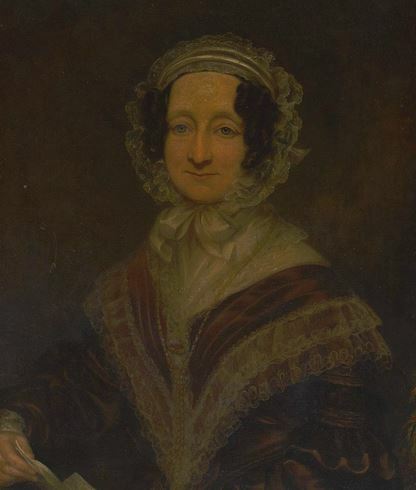 This Catherine Humphreys of Caerynwch was born in 1758. In 1785, he married Richard Richards, son of Thomas Ricards of Coed, county Merioneth, and Catherine Parry. This Sir Richard Richards was born in 1752, became involved in law, and rose to prominence and obtained a great practice at the Bar. In 1813, he was appointed as Chief Justice of Chester. He was twice offered a baronetcy but declined. He had the following children: 1) Richard (his heir, represented Merioneth in Parliament, married Harriett, daughter and heiress of Jonathan Dennett, and had issue with her named Richard Meredyth, Harriett Eliza, Emily Katherine, Williama Frances, Anna Maria Harriett) 2) William Parry (in 1821, married Frances Eliza, daughter and co-heiress of Jonathan Dennett and had children with her named Edward Vaughan, Frederic Jonathan, Henry William Parry, Catherine Frances, Maria Eliza, and Emma Harriett), 3) Robert Vaughan (married Jane Chalie, had daughter named Marianne Catherine who married Ramon de Cabrera, Comte de Moreilla, Marquess del Ter, a General, and had three sons and two daughters with him), 4) Thomas Watkin (Rector of Puttenham, married Marianne Pope and Evereld Hustler, had daughter named Anna Maria Watkin), 5) Griffith, 6) Griffith (married Martha Dennison, had issue named Catherine Mary and Sydney Helen), 7) Charles (Private Secretary to the Righ Hon. Charles Watkin Williams-Wynn), 8) Henry, 9) Jane (married Reverend Temple Frere, Canon of Westminster and Rector of Roydon in 1816, had issue named Temple, Robert Temple, Henry Temple, Griffith Temple, Catherine Margaret Temple, Louisa Jane Temple, Emily Georgina Temple), and 10) Catherine Mary. Richard Meredyth Richards was an Esquire of Caerynwch, county Merioneth, Wales, who was a Justice of the Peace, Deputy Lieutenant, and High Sheriff who was born in 1821. 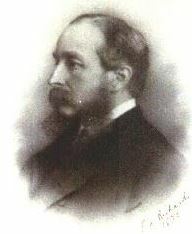 In 1845, he married Elizabeth Emma, daughter of William Bennett of Farrington House and later Louisa Janette Anne, daughter and heiress of late Edward Lloyd Edwards of Cerrig Llwydion, and left give issue: Richard Edward Lloyd (see below), Henry Meredyth, Charles Herbert, Lilla Georgina Harriett, and Emily Louisa. He was succeeded by his son, Richard Edward Lloyd Richards, an Esquire of Caerynwich who was born in 1865. The family coat of arms is blazoned in the medieval European art of heraldry as follows: Quarterly; 1st, argent, a cross patonce engrailed sable, between four Cornish choughs proper; 2nd, ermine, on a saltire gules an escallop argent; 3rd, or a lion rampant gules; 4th, vert, three eagles displayed in fess argent; 5th, guttee d’eau, a canton ermine. In right of his wife, the heiress of Edwards of Cerrig Llwydion, the late Mr. Richards bore an escutcheon of pretence, between three Saracens’ head couped proper. Crest: A naked dexter arm, the hand holding a scimitar all proper. Motto: Ffyddlawn ir Gwirionedd, Faithful to the Truth. This family was seated at Caerynwch, county Merioneth and Cerrig Llwydion, county Denbigh, Wales. 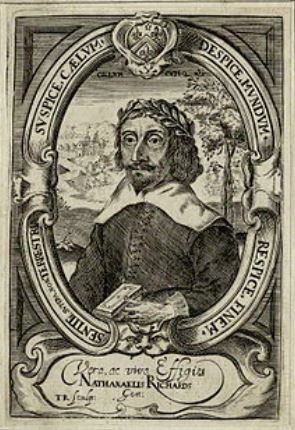 Thomas Richards was born in around 1375 AD. He had a son named Henry. This son, Henry De Fermour Richards was born around 1395 AD in Witney, Oxfordshire, England. He married a woman named Agnes and had a son with her named Thomas. This Thomas De Fermour Richards was born in Witney around 1420 AD. He married Alice Ricardes and had a son with her named William. 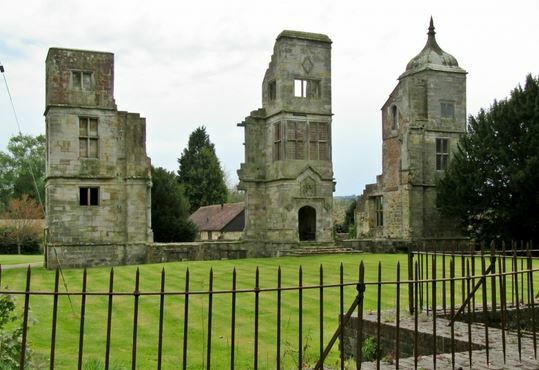 William was born in Minster Lovell, Shropshire, England around 1448 AD. He in turn had a son named Sir Edward who was born in England around 1470 AD. He in turn had a son named Edward. This Edward Richards was born around 1490 AD in Lovelinch or Mylverton, county Somerset, England. He married Jane Caverly and had a son with her named William. William Richards was born in Pitminster, Somerset in 1515 AD. In 1532, he married Emmota Rosalien, and had the following children with her: Joan, John, Mary, William, John, and James Thomas. His son James Thomas Richards was born in Pitminster, England around 1550. He married Alice Blake and had the following issue with her: John, Susanna, William, Joan (Randall), Thomas, and Alice (Torrey). His son Thomas Richards was born in the same town around 1580. He married Alice Hulins and had the following issue with her: Joan, Thomas, Harry, Dorothy, James, and Christopher. His son Thomas Richards was born in Pitminster, Somerset, England in 1596 AD. He married Welthian Loring and had issue with her as follows: Joseph, Samuel, John, Thomas, Mary (Hinckley), Margaret, Anna (Hunt), Alice (Bradford), Hannah, James, and Benjamin. He went to colonial America in 1633 and he first settled in Dorchester, Massachusetts. Captain Edmond Richards was born in Norwalk, Fairfield, Connecticut in 1756. He married Ruth Waring in 1776. He had the following issue: Uriah, Rhoda, Andrew, Ruth, Mercy, Abraham, Nathan Waring, and Hannah. His son, Nathan Waring Richards was born in New Canaan, CT in 1795. He married Mary S. Bell in 1818 in Windham, New York. He was the father of the following children prior to his death in Michigan: William B., Henry David, Edwin Louis, Marion Helen (Fyler), James S., Betsy Ann, Frederick E., and George W. His son Edwin Louis Richards was born in New York in 1822. He married Caroline Amelia Brainard and had the following issue with her prior to his 1917 death in Rose, Kalamazoo, Michigan: George Benjamin, Ralzey Brainard, Marian Adelia (Smith), Maryette Amelia (Bray), James Frederick, Russell Warring, Mary Estella, Alta Belle, and Effa. His son Russell Warring Richards was born in Prairieville, Barry City, Michigan in 1858. He married Sophia Wales and had three children: Terry, Jenny, and Russell Wales. His daughter Jenny E. was born in 1889 in Thornapple, Michigan. She married Edward Johnson and had issue with him named Richard and Marian Ruth. One of the earliest bearers of this surname in colonial America was Richard Richards, who came to Virginia in 1620. In 1630, Thomas Richards Jr. came to Massachusetts aboard the Mary and John. In the same year, James and Ann Richards also came to Massachusetts. A one Anne Richards came to New England in 1634. In August of 1635, Thomas Richards came to Virginia aboard the George from London. Other settlers in early America bearing this surname include: Henry Richards (North Carolina 1748), Alexander Richards (Massachusetts 1755), Abraham Richards (Pennsylvania 1772), Henry Richards (Philadelphia 1791), and Hudnol Richards (Mississippi 1798). In Canada, some of the earliest bearers were Charles Richards (lived at Kemble Manor) and Jonathan Richards (settled at Saint John City) came to New Brunswick in 1784. In Australia, Thomas Richards, a convict from Warwick, England came to Van Diemen’s Land (present day Tasmania) in 1822 aboard the Arab. In the same year, John Richards, a convict from Middlesex, came aboard the Asia, settling in New South Wales. In New Zealand, a family of this surname came to Port Nicholson in 1841, aboard the Slains Castle, including: Joseph Manuel Richards (carpenter, age 27), Ann Richards, Frederick Richards, and Louis Richards. 1) Argent a fess fusilly gules between 2 barrulets sable. Crest: a paschal lamb passant argent, staff and banner proper. Seal of John Richards, one of His Majesty’s Counsellors of Mass., also by his father, Thomas Richards of Dorchester. Arms also on the tombstone of James Richards of Hartford, Conn. ( 1680), “Arg 4 lozenges conjoined in fess” — Gore roll. Vermont Amer- Heral., [ 1886], p. 130. 2) Sable a chevron between 3 fleurs-de-lis argent. Crest: a griffin’s head erased argent. Motto: Honore et amore Bookplate James Richards, N. Y., attorney. 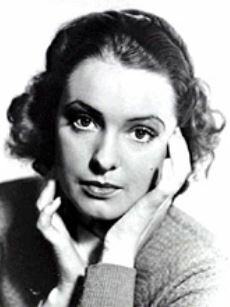 Also of Mrs. Pearl Mary Craigie, novelist, of London, daughter of John Morgan Richards of N. Y. 3) Sable a chevron between 3 fleurs-de-lis or. Motto: Honore et amore Bookplate James Richards, N. Y., attorney. Also of Mrs. Pearl Mary Craigie, novelist, of London, daughter of John Morgan Richards of N. Y. 1) Jeremiah Richards of New York, son of Jeremiah Ricards and Lydia A. Peck, who was born in Boston, MA in 1844. He was a descendant of Edward Richards who came from London to Boston in 1632. In 1871, he married Susan A., daughter of Jacob Montfort, and had the five children with her as follows: Charles Spielmann (married Lida C. Darrah), William Stiger, Anna (married Forest H. Parker), Harriet Montfort (married George Stillman Ryer), and Ethel Adelaide. His coat of arms is blazoned as follows: Sable, a chevron between three fleurs-de-lis argent. Crest: A griffin’s head erased argent. 2) Johann Frederich Reichert of Philadelphia, PA, who came from Augsburg, Wurtemburg (in present day Germany). His arms was blazoned in heraldry as follows: Quarterly, 1 and 4, gules, an ostrich argent in the beak a horseshoe, the ostrich in the first quarter contourne; 2 and 3, Per fess azure and or, on a fesse argent three mullets gules, in chief a lion rampant issuing or royally crowned, and in base three stalks of wheat. Crest: Issuing out of a crest coronet three stalks of wheat proper. 1) John Richards of Dorchester, Massachusetts who came from Somerset, England. Arms: Argent, a fesse, fusilly gules between two barrulets sable. Crest: A paschal lamb passant argent, staff and banner proper. 4) Reverend John Richards, Ware, Gloucester. Arms: Sable, a chevron between three fleurs-de-lis or. There are hundreds of notable people with the Richards surname. This page will mention a handful. Famous people with this last name include: 1) Michael Anthony Richards (1949) who was born in Culver City, California, an actor almost exclusively known for his role of Kramer on the hit TV sitcom Seinfeld, 2) Beresford Richards (1914-1982) who was a politician in Canada who served in the Manitoba Legislative Assembly from 1943 to 1949, 3) Bradley Glenn Richards (1980) who was a professional hockey player from Murray Harbor, Canada who played for six different NHL teams from 2000 to 2016, having won the Conn Smythe Trophy in 2004, 4) David Richards (1965-2013) who was a English born, Swiss-based music producer who helped produce albums for artists such as Queen, David Bowie, Iggy Pop, and Duran Duran, 5) Ellen Henrietta Swallow Richards (1842-1911) who was an industrial and safety engineer and chemist who helped pioneer the field of home economics, having been born in Dunstable, Massachusetts, 6) Sir Francis Neville Richards (1945) who is British civil servant who was the Governor of Gibraltar from 2003-2006, 7) John Gardiner Richards Jr. (1864-1941) who was the 96th Governor of South Carolina from 1927-1931, having been born in Liberty Hill, 8) John Richards (1765-1850) was an American politican, born in Llanuwchllyn, Wales, who was a member of the US House of Representatives in New York from 1823-1825, 9) John Richards (1753-1822) was a magistrate and justice of the peace during the American Revolution who attended the Constitutional Convention of 1787, later serving in the US House of Representatives for Pennsylvania from 1796-1797, and 10) Keith Richards (1943) who is the guitarist and founding member of the Rolling Stones, born in Dartford, county Kent, England. Three of the main heraldic symbols depicted within the Richards Coat of Arms (incorrectly referred to as the Richards Family Crest or Richards Family Shield) are the fleur-de-lis, escallop, and fusil, each with its own unique meaning. The fleur-de-lys (“flower of the lily”) has a long and noble history and was a symbol associated with the royalty of France even before heraldry became widespread. The Lily flower is said to represent “Purity, or whiteness of soul” and sometimes associated with the Virgin Mary. The fleur-de-lys is also used as a small “badge”, known as a mark of cadency to show that the holder is the sixth son of the present holder of the arms. It should be noted that Catholic saints are often depicted with lilies, particularly St. Joseph. As author Michel Pastoureau states, since France is a historically a Catholic country, the fleur-de-lis became “at one and the same time, religious, political, dynastic, artistic, emblematic, and symbolic” depictions in France. Although most associates with French culture, the origin of the fleur-de-lis is unclear. The symbol is depicted on the coat of arms of Florence, Italy. The escallop occurs often in arms, represented as the outside of the shell, sometimes “fluted” of a different colour. It has been part of heraldic tradition almost from the beginning of the art, Henry III of England awarded Gules, 3 escallopes argent to Herbert de CHAMBERLEYNE in the 13th century, and it is present in the heraldry of almost all countries. It is believed that they were adopted as badges (pinned on clothes) of those going to the Holy Land on pilgrimage and can be found in the arms of many a crusading family. It is said the pilgrim would be provided food and water by local churches and castles if the bore the escallop. Hence Wade’s suggested association of the scallop with those that “complete long journeys to far countries”. This symbol is long journeys can also be a symbol of hospitality. It should also be noted the escallop is a symbol of Apostle St. James the Greater. According to The Road to Santiago: “Having been a fisherman in Galilee and having taken the road that helped him discover his spirit, the Scallop Shell is the emblem of St. James and its symbolism relates to two layers of the human condition; the physical and the spiritual. St. James was an ordinary pilgrim like the rest of us. He walked a long difficult road with Jesus; he was imprisoned by his raging emotions, and he went through metaphoric fires to free himself and discover the vastness of his spirit. He learned how to live an authentic, peaceful life and he shared his personal lessons with others”. The fusil is a shape rather like a lozenge but taller and narrower, hence fusily refers to a field of similar shapes arranged in a regular pattern. It is though that the shape originally derived from that of a spindle of yarn. Wade believes that the symbol is of very great age and quotes an earlier writer, Morgan who ascribes it the meaning of “Negotiation”. The variant fusily refers to a treatment in which the entire field of the shield is covered in a pattern of fusils in alternating colors. The fusil symbolizes toughness in work.